United Nations World Food Programme will invite a special speaker Mr. Claude Jibidar, WFP Afghanistan Country Director on October 23 Thursday at GL Room. 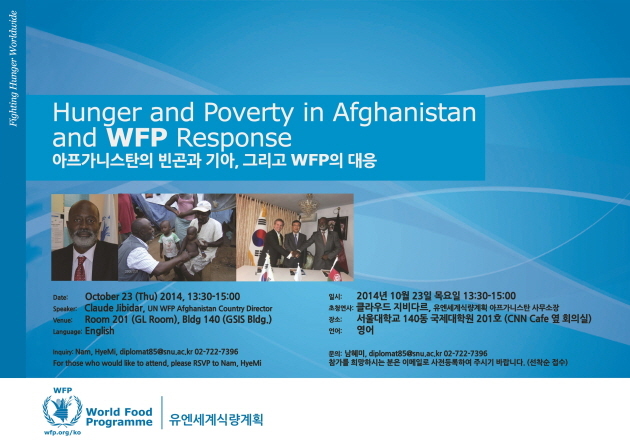 He will talk about hunger and poverty in Afghanistan and WFP response. It will be a great opportunity to understand how the UN agency works with local partners and stakeholders in international development field.